It took fun. a few years to get the recognition they deserved, but at tonight&apos;s Grammy Awards, the band took home the trophy for Best New Artist, beating out Frank Ocean, The Alabama Shakes, and others in the process. 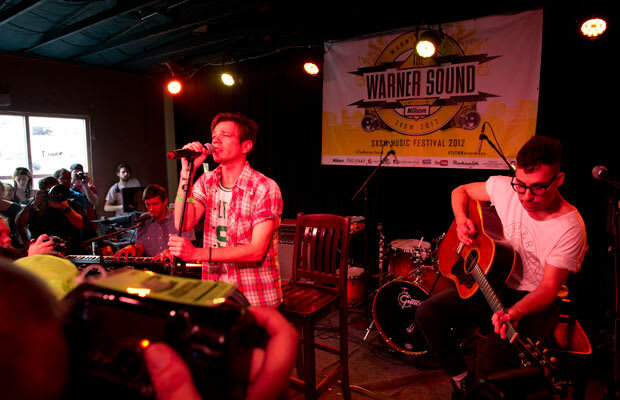 Lead singer Nate Ruess was a former member of The Format, which began recording music in 2001. "I didn&apos;t think we were gonna win this one," Ruess said. "I&apos;ve gotta pee so bad, so I&apos;m gonna leave it to these guys."